One of the things about older cars is the fact that they are old and therefore a bit grubby. This one was growing a bit of mould, well quite a bit to be honest. 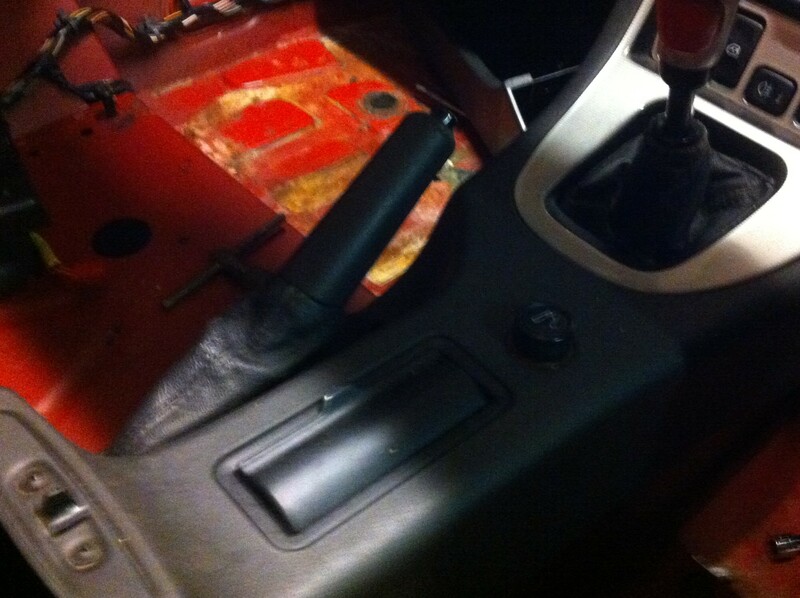 Out came the seats, carpets, soundproofing and foam so that they could experience the full cleansing treatment. Biological washing powder and pet cleaner seems to have got rid of the worst of it, smells almost pleasant in there now. A long day was spent on the brakes this Sunday. 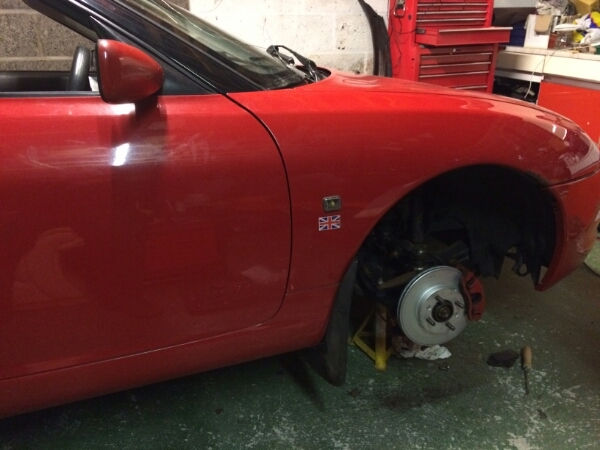 New pads and discs have been fitted front and rear. 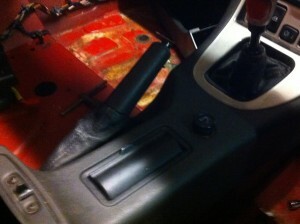 The handbrake mechanisms, linkages and cables have cleaned and adjusted. 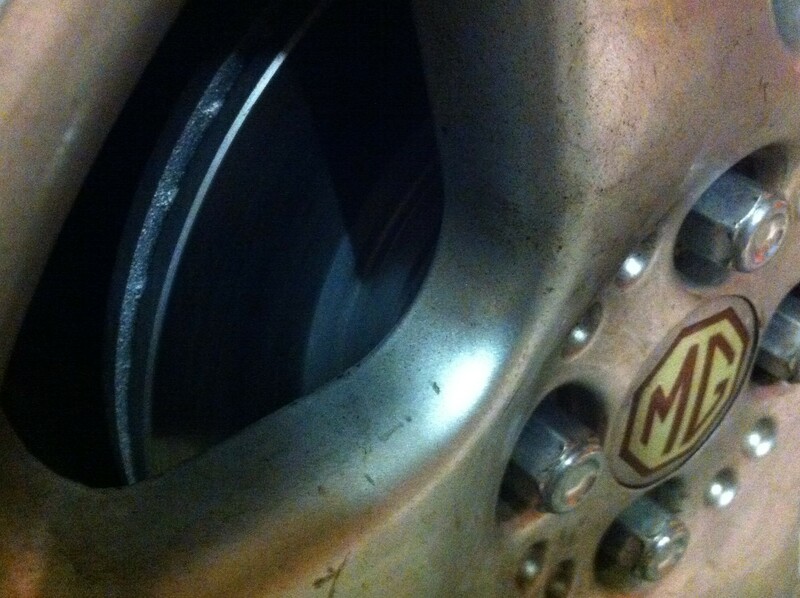 The result is that the car now stops, not especially well but probably about as good as a standard MGF can, it has Metro brakes after all! So that should be about 70% of the MOT failure points dealt with. So Mick pops into the cafe for a quick snack and to pass on the news that the car is struggling to start and refuses to run smoothly. The symptoms don’t sound good and it only gets worse when I go and give the key a turn. 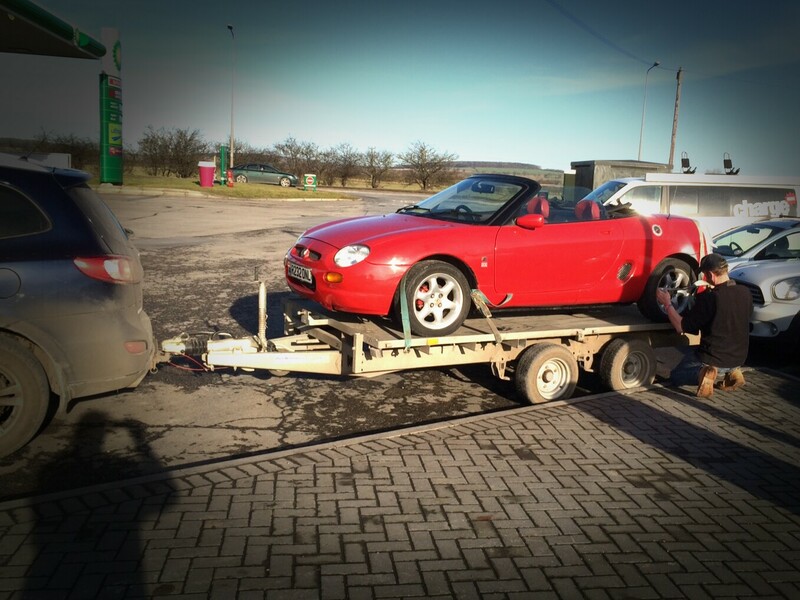 The MGF is renowned for engine problems, this one has has a head gasket replacement a few years ago according to the history we have. They are also well known for electrical gremlins, could it be a simple problem that is holding it back. The symptoms were interesting, plant the throttle and the engine just bogs down, hold it down and it dies an almost instant death. So we check the plugs which look OK and are new, the air filter and inlet tract which are certainly not blocked, mostly because half of it is missing, we put some fresh fuel in and order a fuel filter and then I remember that this car is old enough to have a distributor. Yup, the cap is showing signs of neglect and the rotor arm is not much better, a quick clean and it is almost as good as an old car can be. New leads, rotor arm and distributor cap have now been fitted and all is good with the world. In fact it may even be good enough to pass the MOT emissions test after some Italian tuning. We collected our fine sporting automobile yesterday, Sunday 8th February, a not quite gleaming red MGF. It may not have an MOT, rear screen or dry seats but it does run. Follow it’s progress here and see what delights it throws our way, it did cost just £300 after all.